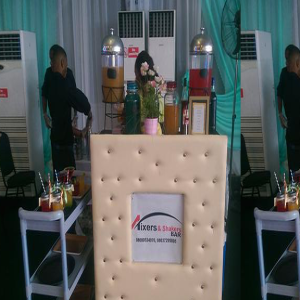 Situated at Portharcourt in Rivers state is a 4 year catering company known for a excellent services like Cocktails, Small chops, Chocolate fountain and Fruit Arrangements. We are known for our timely fashion to all events and well trained and professional staff to handle any task required of them during your event. 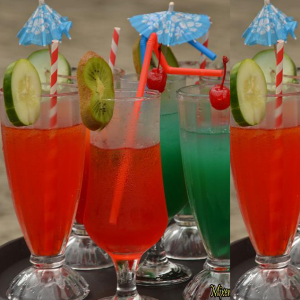 Mixers and Shakers Events offers fresh and mouth-watering cocktails, small chops and desserts for weddings, corporate events, birthday celebrations and other special occasions. We believe every event is unique in its own special way no matter how big or small it is. We can create a menu to suit the décor or theme of your event and we personalize your events through our cocktails décor and our mobile bar. What you expect from Mixers and Shakers Events during your party are excellent service, professional staff and a delicious experience through any or all of the following: Our cocktails, small chops, chocolate fountain and fruit arrangements. Mixers and Shakers have been in business since July 2011 and has been thriving ever since. We have worked with the following companies: SPDC, GTB, THE FUTURE AWARDS 2012, NATIVE AND VOGUE FASHION WEEK 2013, ACCESS BANK, KOHASA ENGINEERING, DAN D HUMOUROUS (ONE MAN SHOW), HOUSE ON THE ROCK, LOTS OF WEDDINGS, BIRTHDAY PARTIES, DEDICATION, HOUSE WARMING ETC. Our drinks are made with the freshest ingredients available with quality equipment to make your day that much special. We add a personalize each drink and give it your personal touch. Our waiters are well trained and are very professional in carrying out their task. We bring the bar to your event by setting up our mobile bar at your event. If you want a healthier option for your party, you can opt for our fresh juice and smoothies. Pineapple juice, Orange juice, Watermelon juice, etc. A2 health Centre road, off Peter Odili road, Port Harcourt Rivers State.